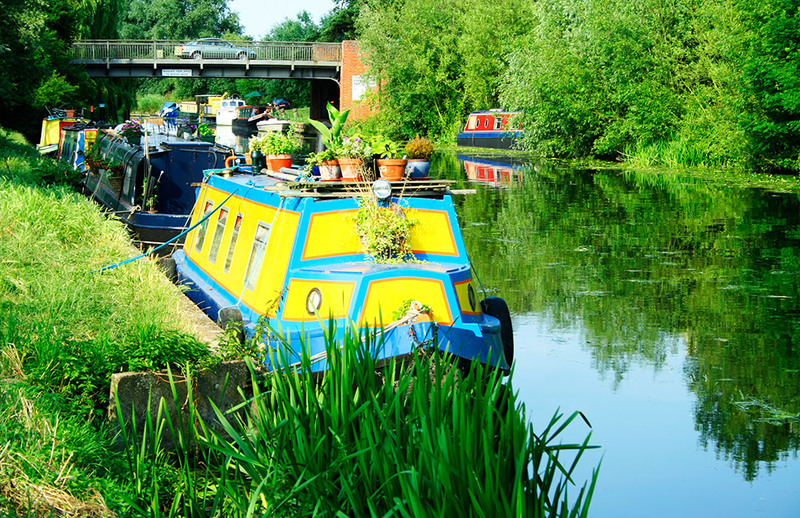 Home › Blog › Get the Narrowboat Holiday You Deserve TODAY! Work and other commitments can sometimes build up, creating an uncomfortable level of stress in your life. However, most of us rarely admit to ourselves that we DO deserve a holiday. Whether it is your job, finances, family life or relationships it can seem that as soon as one problem is solved another one appears. While it may be impractical to immediately book a UK narrowboat holiday to get away from it all, there are a few things you can do today to reduce stress and give your brain a mini-holiday. Stop for a moment and pause. Taking three deep breaths can allow you to focus on the moment you’re in, instead of the next one coming. On the first breath think about mental calmness, or images of tranquil waterways that could calm your mind. On the second breath think about physical relaxation; imagine being curled up in a comfortable chair, on board a narrowboat. On the third breath think about confidence. Imagine how good it felt the last time someone paid you a compliment and go with that feeling. Look at your problems and note them all down. This can mean downloading your thoughts on to one sheet of paper, writing an email to a friend or beginning to write a regular diary. If you’re feeling overwhelmed look at ways to reorganise your life. Prioritise your to do list, and put appointments onto a calendar. Break down bigger tasks into manageable chunks. Be realistic and see if there are any commitments that you can let go of. If deadlines and duties are still stressing you out, then use visualisation to dream about a canal boat holiday on the Fenland Waterways. Imagine a week or two somewhere far from the modern world of road-rage and computers, on a boat living close to nature. Leave your obligations behind and disconnect from the world. Life on the waterways can sometimes cause you to lose track of time all together, and the scenery of the Cambridgeshire countryside can be a refreshing change from your usual environment. Think about it. Do YOU deserve some time in the slow lane? Check availability now and get the holiday you deserve! ‹ MAGPAS presented with a cheque following a sucessful fundraising year!